Center of Town w/ Fireplace - free Wi-Fi. Property 6: Center of Town w/ Fireplace - free Wi-Fi. Blue Skys Await Here at Pacific Beach Condos! Property 10: Blue Skys Await Here at Pacific Beach Condos! Heidi's Beach Condo - ~A~ Luxurious Home Away from Home! Property 23: Heidi's Beach Condo - ~A~ Luxurious Home Away from Home! Property 32: NEW LISTING! Oceanfront suite w/ fireplace, jetted tub & full kitchen! Property 33: Dog-friendly, waterfront condo w/ a balcony & courtyard view - close to beach! NEW LISTING! Beach front & ocean view condo w/ balcony, fireplace, & WiFi! Property 34: NEW LISTING! 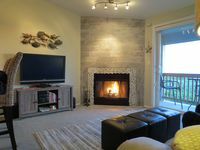 Beach front & ocean view condo w/ balcony, fireplace, & WiFi! Waterfront condo w/ ocean views, shared pool/hot tub - dogs OK! Property 35: Waterfront condo w/ ocean views, shared pool/hot tub - dogs OK! Waterfront condo w/ ocean view, shared pool and hot tub, free WiFi! Property 38: Waterfront condo w/ ocean view, shared pool and hot tub, free WiFi! Condo w/shared pool and hot tub, free WiFi, & ocean/lighthouse views - dogs ok! Property 39: Condo w/shared pool and hot tub, free WiFi, & ocean/lighthouse views - dogs ok! Property 40: Gorgeous suite at oceanfront inn w/ jetted tub & gas fireplace - steps to beach! Property 41: Spacious and well furnished home with marina views! Free WiFi! NEW LISTING! 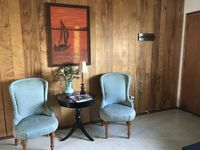 Oceanfront, ocean view, vintage-inspired suite w/ WiFi & cable! Property 46: NEW LISTING! Oceanfront, ocean view, vintage-inspired suite w/ WiFi & cable! Dances With Waves Condo at Ocean Surf! Property 47: Dances With Waves Condo at Ocean Surf! Oceanfront condo w/ shared pool and hot tub, dogs ok! Property 49: Oceanfront condo w/ shared pool and hot tub, dogs ok! Great Price, Location, View, and Communication! This condo everything we wanted and needed. We loved the view from the top floor and that everything was nice and clean. I really enjoyed the weather station! 😊 Funny thing is that there was an Alexa-enabled device that talked to us when we first got there. Later, we were grumpy because there was music coming from next door. Turns out, it was Alexa playing some music even though we didn't ask for it. Asked it to stop and then muted the microphone. lol Was a great stay and would do so again. Great Place for Clamming weekend! Clean and in good shape. Worked out for a location to the clamming beaches.